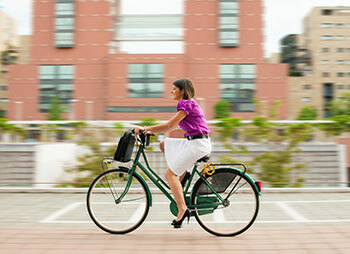 Why not cycle to work on a tax free bike? The Bike to Work scheme allows employers to buy bikes and accessories up to €1000 tax free for their employees and deduct the net cost from their employees’ salaries over 1 to 12 months. Artane Cycles is one of over 150 participating Irish retailers who participate in this scheme. Any bike purchased from us under the terms of this scheme is eligible for government rebates of up to 51% of the total cost of bikes and accessories! All tax payers are entitled to apply for a new bike up to the value of €1,000 in any five year period. Applicants must apply through their own H R departments and then obtain a quote from the bike shop of their choosing. Irish Government- backed initiative to encourage employees to commute by bike.